I am buying electronic stuff from AliExpress – due to the ******* custom policy of EU it is a much cheaper than buying from Adafruit, Sparkfun etc. Unfortunatelly. There is a lot of total crap, but also a lot of great stuff too. I am diving into AliExpress three times a week, and I found many pieces “I really have to build”. So I decided to share these tips with you and made a new web called Alitronik. There are three tips per day at Alitronik, and each sunday is “a Funday” – a day for tips with something in common. For example – the last one is dedicated to solar power, energy metering, weather stations and lasers. Previous week was in the sign of Raspberry Pi cases, tools, robots and construction of 8085-based mini PC. From the recent post I want to mention e.g. 37 sensors kit, CC-A80 Cubieboard PC, Speech Recognition Module, LoRa Shield for Arduino, NodeMCU-32S or SMD Tweezer and multimeter tool. So – bookmark Alitronik.com, read Alitronik RSS, follow @alitronik_tips, subscribe weekly digest or submit your own tips. A “two hour weekend project”. 8bit ATmega microcontroller running at 16MHz (ATmega 1284P). Over 7KB of memory available for creating BASIC programs. Header for external EEPROM ‘cards’ which allow full size programs to be saved (using a 25LC640 EEPROM IC); 4KB internal EEPROM available within the microcontroller. USBasp programming header allowing easy programming of the computer once assembled. Many GPIO pins for connecting to components and other circuits. The arm-bmw is open hardware (CC-BY-4.0 licensed) and open source (MIT licensed). 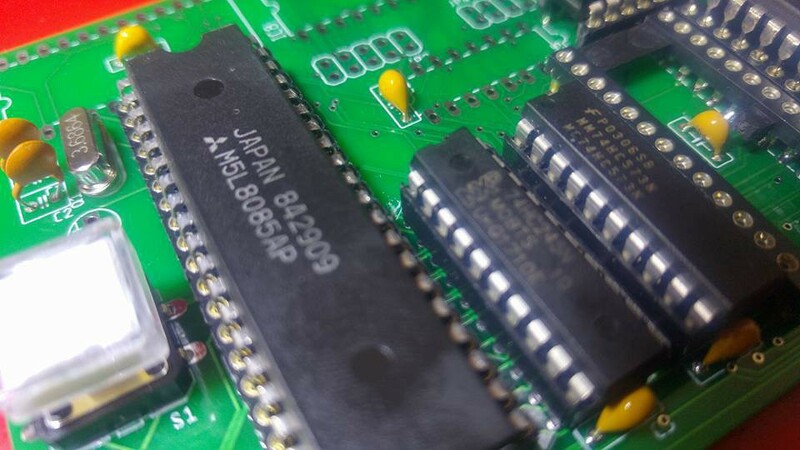 Yes, yes, “AVR + BASIC again”… Single Chip AVR BASIC Computer is a computer running the BASIC programming language, generating composite video and reading PS/2 keyboard input using a single AVR ATmega1284P (DIL40). There is no storage device, but it shouldn’t be a big problem. Cheap PCB you can order via DirtyPCBs. Arduino 6502 emulator + BASIC interpreter looks like a very good start. 6502 emu on Arduino Uno, VIC-20 emulator on Due. Looks interesting. Still not the C64, but interesting. And for those which wants emulated C64: Did you tried the CommodorePi? A C64 emulator for RasPi, with HDMI, Ethernet etc. AVR-CDC is low speed USB CDC (Communication Device Class) soft device, suitable for “a poor man’s FTDI replacement”. Its firmware is suitable even for ATtiny45. It can handle 1200-4800 Baud using internal oscillator on ATtiny45, but with ATtiny2313 or ATmegas can handle up to 38k.